Following the meeting, each partner returned home and began creating the missions of the project. This was not that easy, however. The Open the Doors project demanded a significant change of mentality and we realized that youth workers can resist doing things differently and we realized that it is not so easy to understand the essence of the project. We were stuck for some time. We did not know how to proceed. Teachers continued with old habits and it was difficult to do things differently and to create the first missions as envisaged, following the didactics of the project. Our second Partner Meeting took place in Budapest (Hungary) in April 2016 and it showed us that each practice partner comes from a different reality, with its own starting point and possibilities. We acknowledge that some new ideas emerged. There were new interactions and interesting exchange of ideas between the partners but we still did not fully grasp the key points of the project. Although there was a degree of innovation, the new missions were still essentially a continuation of similar work that the partners did in the past. We needed to go further and create the capacity of generating initiatives with the young people, that is, the initiative should not come from the educators. We aimed at generating an entrepreneurial capacity within our young people and we realized that the very first step is to change the mentality of teachers, educators and youth workers. An important milestone in the project was the first seminar of 5 days in Porto (Portugal) in September 2016. Working together for 5 days enabled us to intensify our relationship and really reach the core of the project. We spent many hours in dialogue and reflection and by the fourth day, we were able to generate a shift, a change of paradigm that opened the doors to the creation of new missions for the second year of the project. The five didactics, that are the frame of the missions, were now clearly understood. By now, we were starting the second year of the project. Back at our schools, we started with this new frame of mind and a key point was getting out of the school and going into the community. Slowly, teachers and youth workers started realizing that a change in our minds brought changes in the young peoples’ minds. With this new emerging mentality, we could see how the missions as defined by the project could be created by the young people themselves! The length of time needed to generate a new relationship of confidence with youth. Before creating a mission with them, youth workers needed to create a safe space for these young people; this takes time and it is quality time in which young people can slowly just be themselves and where there is a new relationship emerging between youth workers and youth. The lack of regularity in attending classes by these youth, which means that the mission is interrupted or cannot advance on a regular base. Another unexpected issue was the change of opinion from young people about being part or not in the mission. In spite of this we realized that by following their own rhythm the “the missions” do have an effect on the young people. See their testimonials in our website. We realize that we are here only because of all the effort and work that we did during the first year of the project, trying and not succeeding but persevering. A key factor in reaching this point has been the flexibility that practice partner schools have regarding the internal organization of their activities. It is important to acknowledge that the degree of flexibility in some countries is much wider that in others. Spain and Portugal have a great deal of flexibility, while Romania, Hungary and the Czech Republic are more constrained. This has a huge influence on the characteristics and results of the missions developed. This flexibility is a key point in the development of the entrepreneurial capacity building for NEET prevention. 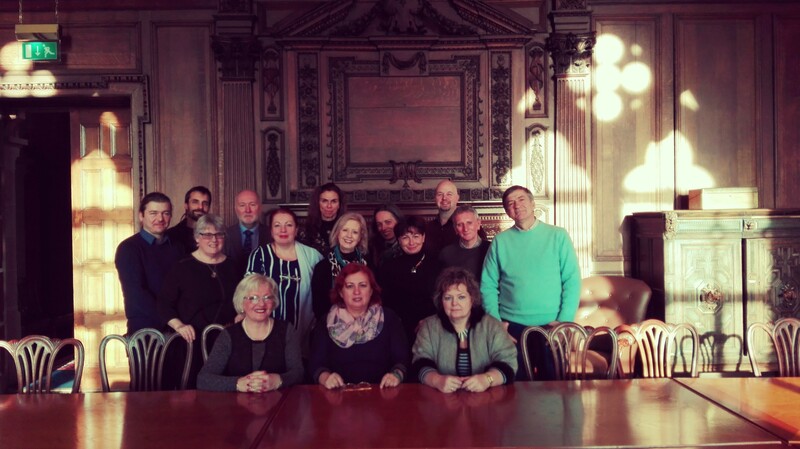 Our third Partner meeting was in Glasgow (UK) in January 2017. Glasgow served to consolidate the work done up to that point. We reflected and exchanged experiences and ideas and set the next steps. We were proud to acknowledge that we changed mentality and this generates the change in youth and is the main contribution to have youth develop an entrepreneurial attitude. The changes done will stay with us and will transfer to the rest of the school team. The five major themes of Open the Doors emerged and were agreed at this meeting. 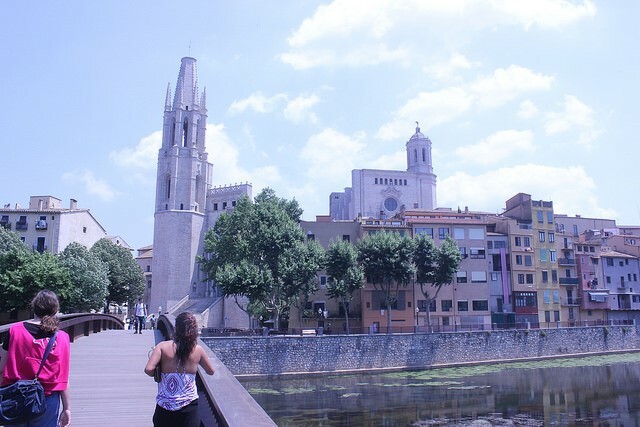 Our next meeting was the second-last seminar in Girona (Spain) in May 2017. We began the meeting with a performance of magic from one of our Cancuni partner and we used this metaphor as a framework for dialogue. The partners concluded on the learning from the project. The missions are in Annex A above and there is more material on our website. The school year is about to finish and it is time to harvest the capacity built, for the youth workers and the youth. Our next step is to design the Intellectual Output: Guidelines for 21st century NEET prevention. Through our conversations, we decided to centre the Guidelines on five key themes: Context, Youth Worker – Mindset, Working with Youth at Risk of Social Exclusion, Working with the missions and Perspectives and Opportunities. We want this guide to be very practical and easy to use for any youth worker that wants to learn about being entrepreneurial with youth at risk of social exclusion. We had a final Partner Meeting in Porto (Portugal) in July 2017. The missions were done. The young people are on summer vacation and the partners need to close the circle. Practice partners began writing their narratives about this experiment and Knowledge Partners will construct these guidelines based on those learnings. We feel proud about our change in mentality and we know that those changes are here to stay and to keep developing them.